A vacation rental in California such as a condo, home, villa or cabin is the dream destination for many tourists. The diversity in the land and attractions is tremendous which include millions of acrerage in nationals forest, beautiful stretch of coastline, snowy mountain peaks and there is also the busy, action packed city life. Did you know California is also the home of the world's largest tree and also host the driest and lowest spot in North America? Yes, California has everything you could possibly think of in one state, including several hundred wineries. Many tourists are attracted by the central coast of California that is located between Los Angeles and San Francisco. The gourgeous coastline Big Sur is where you can take a scenic drive and enjoy the beautiful views throughout the towns of Santa Barbara, Carmel and Monterey. Do you enjoy spending the day at the ocean and the beach? Ventura is a great place to spend the day soaking up the sun and relaxing next to the waters of the pacific ocean. If you are one who enjoy's the outdoors, nature and breathtaking views, a vacation rental in one of the National Parks or Lake Tahoe is the place for you. Yosemite and Sequoia National Parks are beautiful areas to enjoy hiking, sight seeing, skiing and watching wildlife. The extremely popular Lake Tahoe you will enjoy boating, fishing, along with several other water activities. Do you like to drink and sample wine? The wineries found throughout California are by the hundreds. The states wine country offers lush vineyards, neat towns, along with several local shops. Sonoma and Napa Valley are great places to sample the tasty wines that California is known for. Taking a family vacation with kids? Orange County is a great place for a family that is looking for a variety of fun. This area features Disneyland, along with other exciting theme parks. Several beaches are located throughout Orange County including Surfside and Crystal Cove State Park. California is probably known most for its very large cities. You have the Los Angeles, San Diego, San Francisco and Sacramento areas and several popular towns within such as Beverly Hills and Malibu. So, whatever you are looking for in a vacation, there is a place for everyone in California. 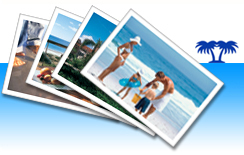 Looking for a vacation rental by owner? The team here atwww.ivacationonline.comworks closely with property owners everyday to provide you a quick and easyvacation rental management software.Our state of the art system, allows you to book your unit of choice in just a few minutes! !